<blockquote>01 - Housequake - "Maximize"
02 - Van Halen - "Jump (Audien Remix)"
03 - JAGGS - "BleepDiFreak (HARDWELL EXCLUSIVE)"
04 - Seven Lions feat. Ellie Goulding - "Don't Leave (Tiësto Vs Twoloud Remix)"
05 - Jay Cosmic & Husman - "Universe"
06 - Deadmau5 feat. Rob Swire - "Ghosts 'n' Stuff (Chuckie Remix)"
08 - Henry Himself - "Showtime (DEMO OF THE WEEK)"
09 - Alpharock & Switch Off - "Like This"
10 - Hardwell & Joey Dale feat. Luciana - "Arcadia (SEAN & BOBO REMIX)"
11 - R3hab & KSHMR - "Karate"
12 - Joel Fletcher - "Bounce Baby"
13 - Mark Sixma & Kill The Buzz - "Rise Up"
14 - Dyro & Bassjackers - "X"
15 - Tommy Trash & Henry Fong feat. 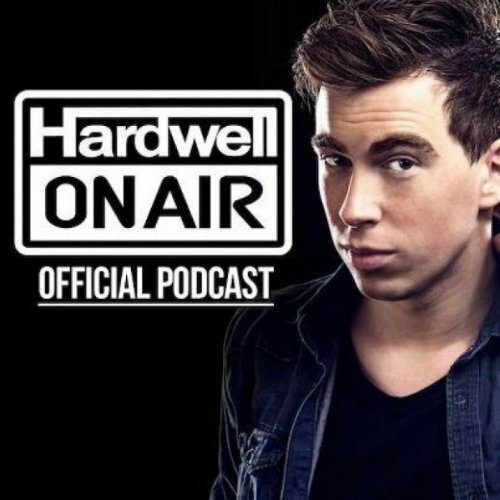 Faith Evans - "Love Like This"
16 - Knife Party - "404"
Above, you can stream DJ Hardwell's On Air Podcast, Episode 194. This episode features electronic DJs from around the world sharing their hard-hitting, bass-heavy mixes of a variety of artists. Van Halen's "Jump" is reworked into a dance club anthem with David Lee Roth's voice at the forefront, and Ellie Goulding's vocals are featured on Seven Lions' "Don't Leave." Faith Evans' sultry vocals contribute to Tommy Trash & Henry Fong's adrenaline-fueled mix of "Love Like This." Hardwell's exclusive track of the week is from up-and-coming Dutch duo JAGGS. Each week, Hardwell accepts unreleased tracks via the Revealed Recordings official website to be featured as "Demo of the Week." This episode's demo of the week is a fist pumping mix called "Showtime" from Swedish DJ Henry Himself. The remaining songs are upbeat, bass-fueled, and heavy on electronic sounds. Recently, Hardwell was voted the world's #1 DJ for the second straight year in the 2014 edition of DJ Mag's Top 100 DJs Poll. For Hardwell's latest music, news, and tour dates, check out his Zumic artist page.